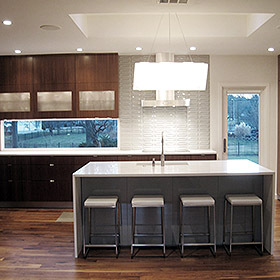 Accent lighting above a kitchen island or sink helps to illuminate the space while you’re cooking or entertaining. Plus, upgrading your lighting is a cost-effective way to give your kitchen an extra personal touch. Our artisan-crafted Cloak pendants bring warmth to this dreamy kitchen, designed by @green.slade . Our hand-blown Banded pendants create the perfect evening brilliance over @huan0241's island. Maybe you’re not ready to commit to a full remodel (or you’re in a rental where you can’t make updates). Either way, a fun way to switch up the vibe in your kitchen is to add color with bar or counter stools! 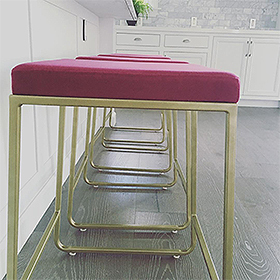 Collins bar stools in Sunbrella® Canvas pink bring personality to @cole_sako's space. The @thesociallights' kitchen is an ideal backdrop for colorful Pike counter stools. Had enough color in your life and ready to opt for a more monochromatic color scheme? 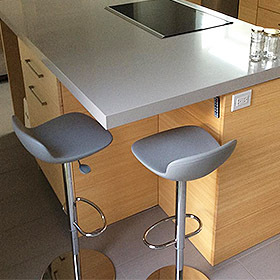 Pick stools that match your cabinets or countertops for a timeless feeling that echoes true modernity. The Lira bar stools in Urbino ivory pair perfectly with the bright white cabinets and countertops in @beylabluedesign's kitchen. 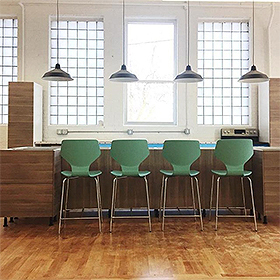 The clean and simple lines of the Collins bar stools complement the contemporary style of jenja's kitchen. 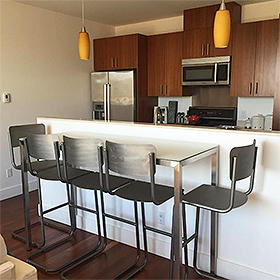 Not only was the size and scale ideal for Martyn's space, the Leo swivel stools also harmonize flawlessly with his grey countertops. A kitchen island not only changes the whole look of your space, it adds a ton of function! Pick from a variety of counter tables, or customize your own, to add more prep and workspace. Plus, pull up a stool and you’ve got an eat-in kitchen! 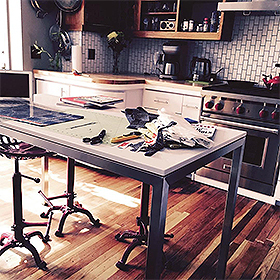 @meldolby used a Parsons counter table to create a versatile surface for food prep, work and crafts! This custom Portica counter table (available by the inch) was designed by Seana to accommodate her space and needs. Need more design help? 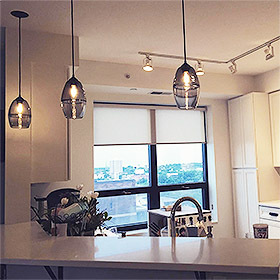 Get personalized ideas and advice from our non-commissioned Design Associates or find more real-life inspiration by visiting our Customer Photo Gallery. 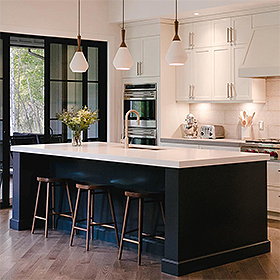 Adding pendant in your kitchen will give a boost with its modern style. What’s good about pendant is that they can play as your lighting scheme in the room. Indeed, the steps mentioned can sure be used for modernizing the kitchens. However involvement of technology in the designing has made a major breakthrough in the same. These all points are very important for modern kitchen.Apart from this bar design, restaurant design, hotel interior design, nightclub interior design and reception design are also important. 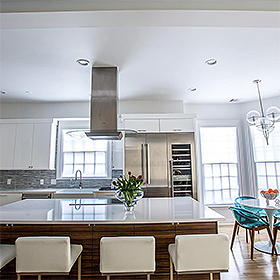 Hey, Nicole, thanks for sharing your views on how to add modern style to kitchen. Thanks immensely for sharing such a resourceful and lively post. This gives me beautiful ideas and I am looking forward to incorporate some of them in my kitchen. We’re so glad we could help! If you need some personalized ideas + advice, we offer free design services in our stores, online or over the phone. Head to roomandboard.com for details!